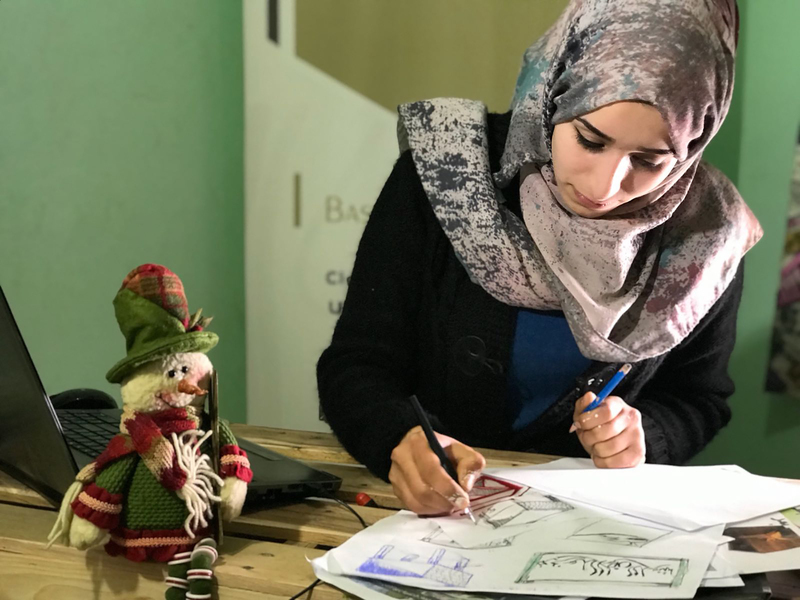 Palestinian women entrepreneurs are transforming their ideas into new businesses thanks to the European Union’s Business Start-up Incubators Program (BSIS). When it comes to female education in Palestine, trends have been shifting over the past two decades; more females than males are graduating from high school and university. Nonetheless, trends of women participation in the labour force have not witnessed correlating changes. Women continue to face challenges as they enter the job market, their wages are less in comparison to men doing similar jobs, and very few women make it up the employment ladder to executive positions. The European Union (EU), through its Business Start-up Incubators Program (BSIS), implemented by Belgian Development Agency (Enabel), has been empowering women entrepreneurs and enabling women to become business leaders over the past couple of years. Through BSIS outreach, more than 40 women and youth organizations have been approached, which helped attract a large number of female entrepreneurs into the program. Aya Kishko, 26, is an architect from Gaza. 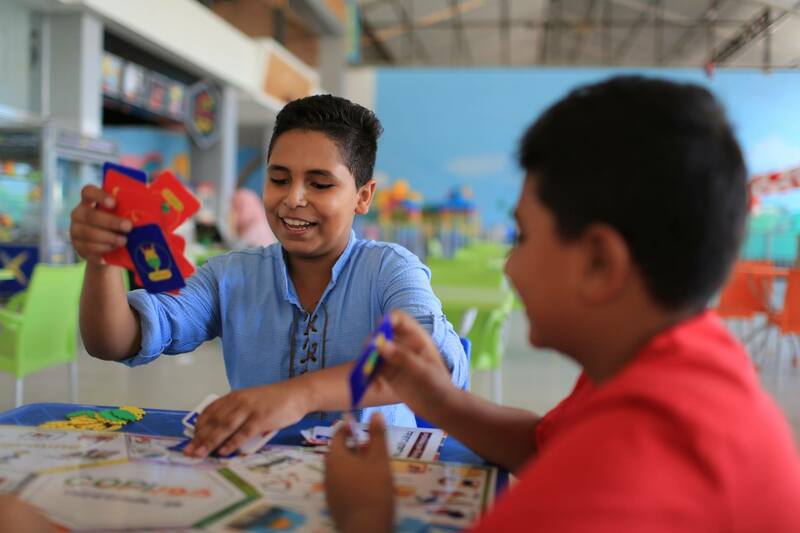 Working as a design engineer at a furniture factory at the Industrial Zone in Gaza, Kishko noticed that hundreds of pallets entering the Gaza Strip everyday were not being used. 150-200 trucks enter the Gaza Strip every day, carrying all sorts of goods loaded on pallets. Each truck brings 24 pallets. That’s more than 20,000 pallets made of natural wood entering the Strip every week. “Pallets are stacked everywhere at the industrial zone,” Kishko remarks. 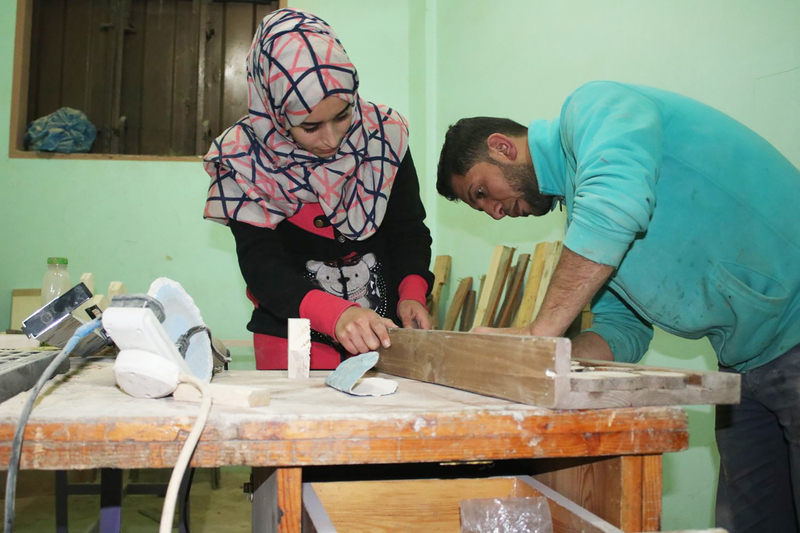 Kishko saw great potential for using the pallet wood as a raw material for manufacturing furniture, an especially attractive source considering the low-income levels in the Gaza Strip. As a result, she crafted and sold several furniture items. During this time, she also took part in the ‘Green Solutions Entrepreneurship Competition’ organized by the Islamic Relief where she finished as a Top 3 contender. Kishko’s success encouraged her to found ‘Basata’, a start-up which turns pallet wood into furniture. She used the 3,000 US dollars won at the competition to set up a workshop at home. 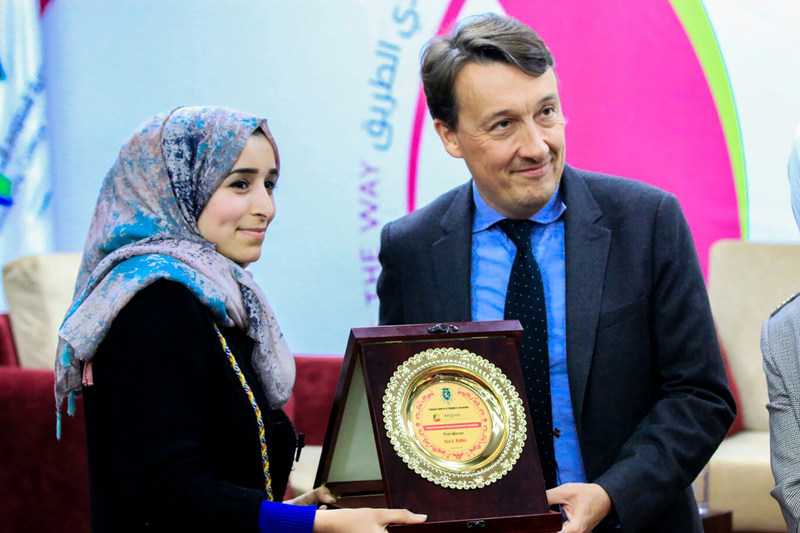 However, Kishko is more appreciative of the counselling and guidance she received from the Business Technology Incubator (BTI) at the Islamic University in Gaza, one of the five business incubators receiving technical support through the European Union’s BSIS. BSIS consultants helped Kishko devise a business plan and a marketing plan, and provided coaching and technical advice. “Through BSIS, I received invaluable guidance. Their coaching is ensuring that Basata is making steady steps towards success,” said Kishko. “My project would have been founded on shaky grounds had it not been for BSIS, because I do not have a business background. They have given me confidence. Now I can say that my workshop will become a factory,” she added. 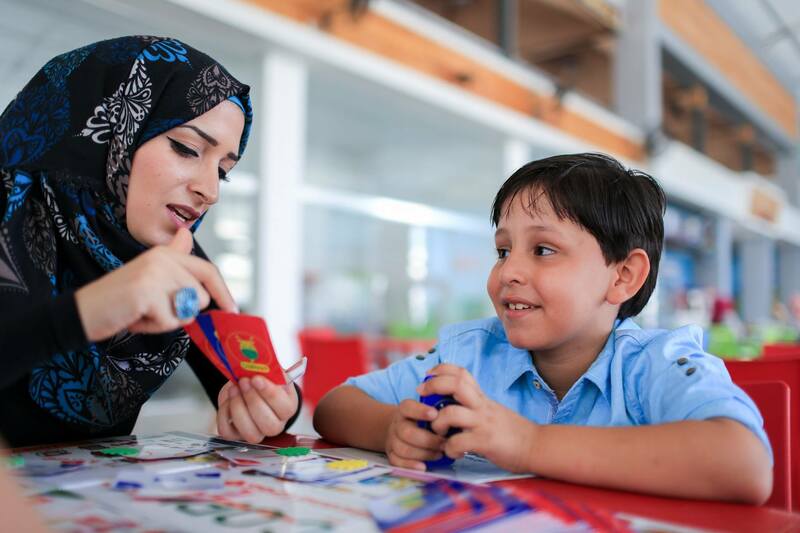 Another remarkable woman entrepreneur is Amal Aljojo, an English Language and Education graduate. 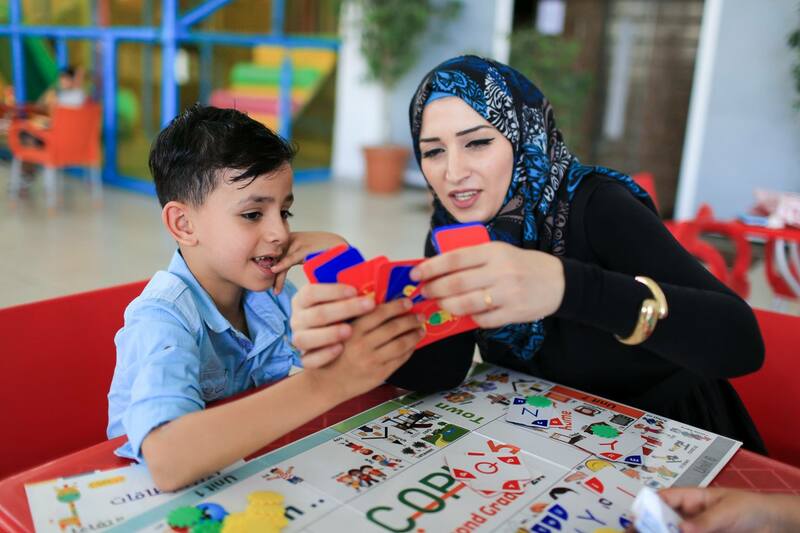 She created an educational game called Cards of Playing and Interaction (COPI). “The game addresses the problem of weak teaching of English as a foreign language and children’s spelling of English,” said Aljojo. The solution was interactive cards with letters on them. “Those cards comprise various games which teach spelling and word usage. 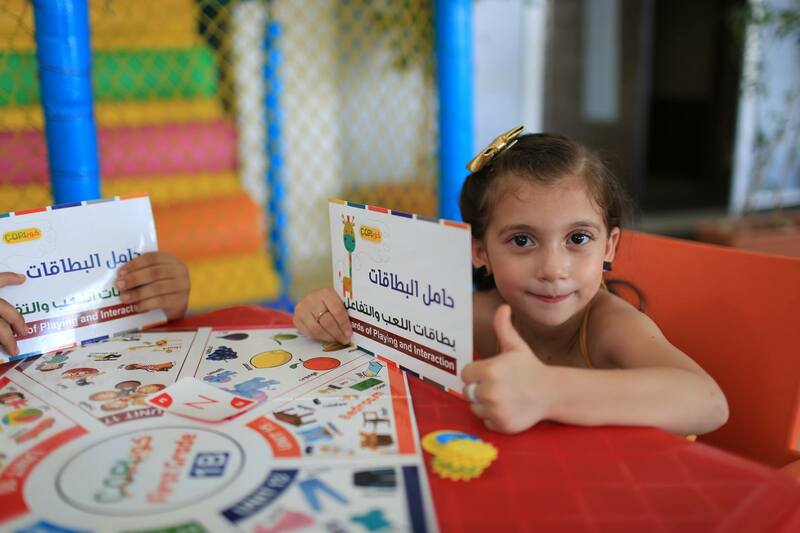 The game improves children’s ability to learn English through the cards, as well as other elements including game boards, puzzles, a dictionary of words to be taught in grades 1-3, etc.,” said explained. “BSIS gave me experience, helped me in marketing, and was my companion since I joined it,” Aljojo concluded. Three other brilliant women benefitted from the same EU funded programme. 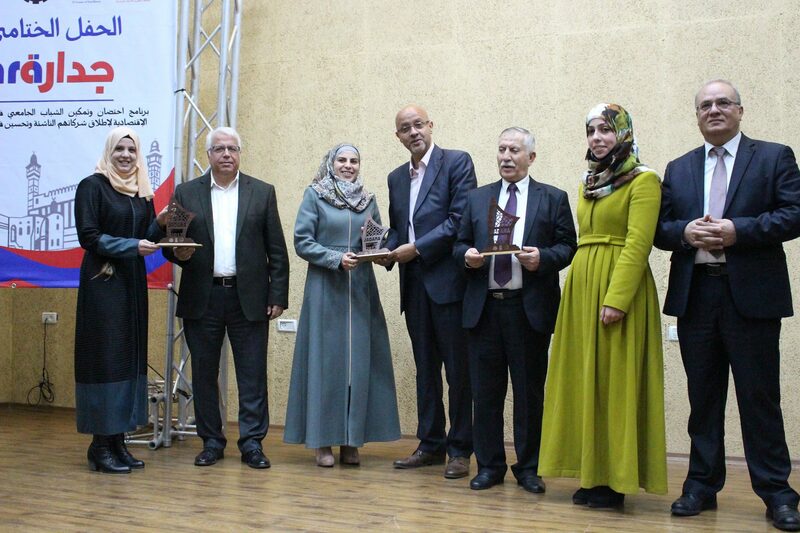 In Hebron, south of the West Bank, three Palestine Polytechnic University (PPU) graduates confirmed the possibility of using a pollutant, debris from stone-cutting factories, to eliminate another pollutant, wastewater from the dairy industry. Stone-cutting factories are a staple of Hebron’s economy, but debris resulting from this industry poses an environmental hazard; it causes clogging of the drainage system, pollutes soil, and generates bad odours. 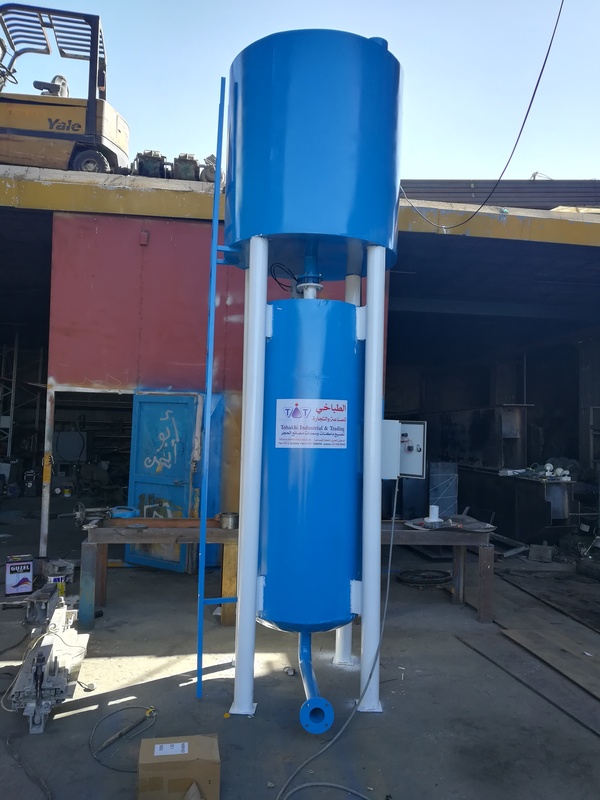 Heba Dweik, Nadia Iqaefan and Narmeen Zahdeh, environmental technology graduates, applied their innovative concept to address another environmental problem. They used stone-cutting debris to treat leather tanneries’ wastewater, which is heavily polluted with Chromium. If disposed of in the drainage system, tanneries’ wastewater causes its erosion. As such, tanneries had to collect their wastewater and send it to Israel for treatment. Seven cubic meters of chromium-polluted water are produced every day. The cost of disposing of it exceeds $100,000 annually. The three aspiring women presented their innovation at a green entrepreneurship competition as well as at several scientific conferences. 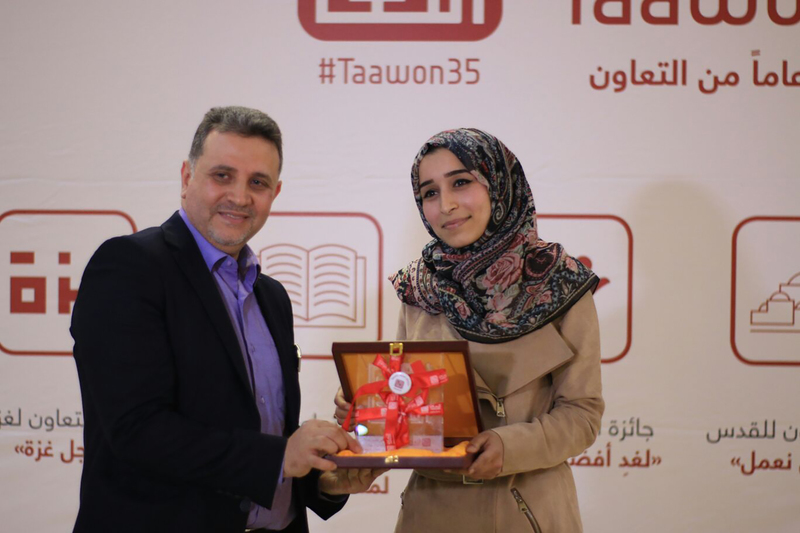 At the entrepreneurship competition, they received 5,000 US dollars from the Islamic Development Bank to design and produce a prototype of their apparatus, which is still functioning at a Hebron tannery. Dweik, Iqaefan and Zahdeh decided to go commercial with their solution, called ‘Waste by Waste’. With no business experience, this was a challenge more difficult than any engineering challenge they had ever faced. However, BSIS, which they were introduced to at the Business Incubator at PPU, was there for them. “BSIS registered our project as a business and hired an attorney to get our solution patented. In addition, it provided us with office space, equipment and supplies,” Iqaefan said. Furthermore, BSIS is supporting the team’s travel to Barcelona this fall to represent Palestine in a network of Euro Mediterranean Entrepreneurs. “Spain, Morocco and Tunisia, etc. have similar traditional industries where we may be able to sell our product,” said Iqaefan with an optimistic look on her face. Ali Ramadan, Director of the Business Incubator at PPU said BSIS has supported their incubator by providing work space for incubated entrepreneurs as well as a series of trainings and a boot camp. Additionally, BSIS exposed the incubator to best practices and provided materials explaining the incubation process from inception to graduation. Furthermore, BSIS provided training or trainers and paid business services through a network of experts. 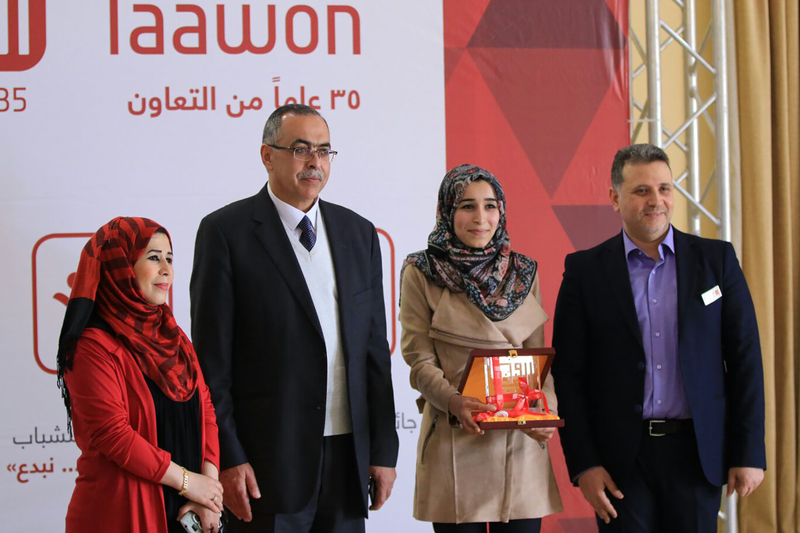 Ramadan recalls how 8 start-ups have been incubated thus far, while more than 220 participants took part in the incubator’s various activities in Hebron district. By 2019, BSIS aims to support 120 such start-ups. Palestinian women will make a significant fraction of this number. The Palestinian economy has been suffering as a result of the lack of progress toward ending the Israeli occupation. The Oslo Accords and the subsequent Paris Economic Protocol have left Palestinians with little room to develop their economy independently from Israeli control. For example, the Palestinian government controls less than 40% of the West Bank, leaving little territory for agriculture and industry. Meanwhile, Israel controls all exports and imports, imposes a crippling blockade on the Gaza Strip, and has applied a regime of extensive movement restrictions in the West Bank. As a result, unemployment rates have surged in recent years, exceeding 40% in the Gaza Strip, leading to a significant fraction of the population living in poverty. Neither the Palestinian public sector, nor the private sector, is able to keep pace with the need to generate employment. Palestinian youth, especially university graduates, have been hit hard by these harsh realities. Subsequently, many youth have taken the entrepreneurship road, which is not easy, especially for youth with bright ideas but almost zero business experience, and more so for women, who face societal challenges as well. Entrepreneurs and start-ups need support throughout the whole process of transforming their ideas into viable businesses. Support includes business training, legal counselling, coaching and mentorship, as well as access to finance. The European Union (EU), through its Business Start-up Incubators Program (BSIS), has partnered with start-up incubators in Palestine to encourage young entrepreneurs to move forward with their ideas and enhance their skills to make their start-ups more sustainable. 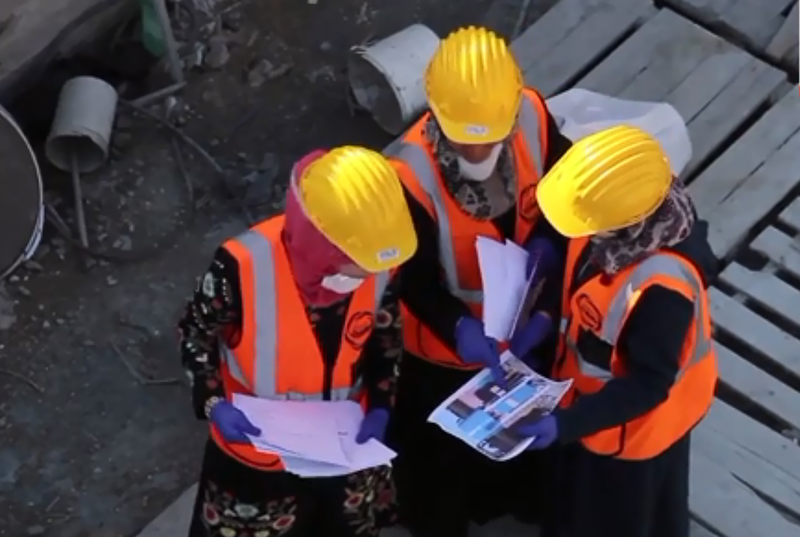 BSIS supports five regional – existing – incubators in Ramallah, Hebron, Bethlehem, Jerusalem and Gaza. It is implemented in Palestine by the Belgian Development Agency (Enabel). Started in 2016, BSIS provides institutional capacity building to incubators, business training and coaching to entrepreneurs, as well as informational sessions and a digital platform on access to finance. In addition, small business services are promoted though a business voucher scheme for start-ups and existing micro, small and medium enterprises. 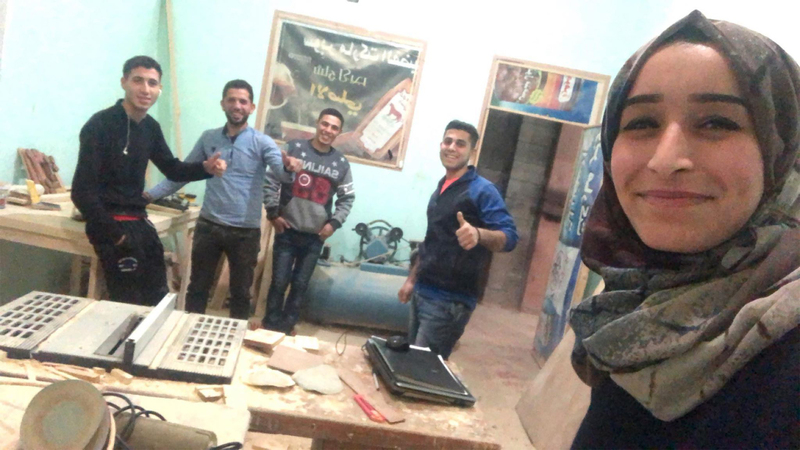 After strengthening their capacity, the incubators reach out to ambitious Palestinian entrepreneurs and give them a chance to start their business.